Are you ready for the next generation of multitool 3D printer? Is the world even ready? 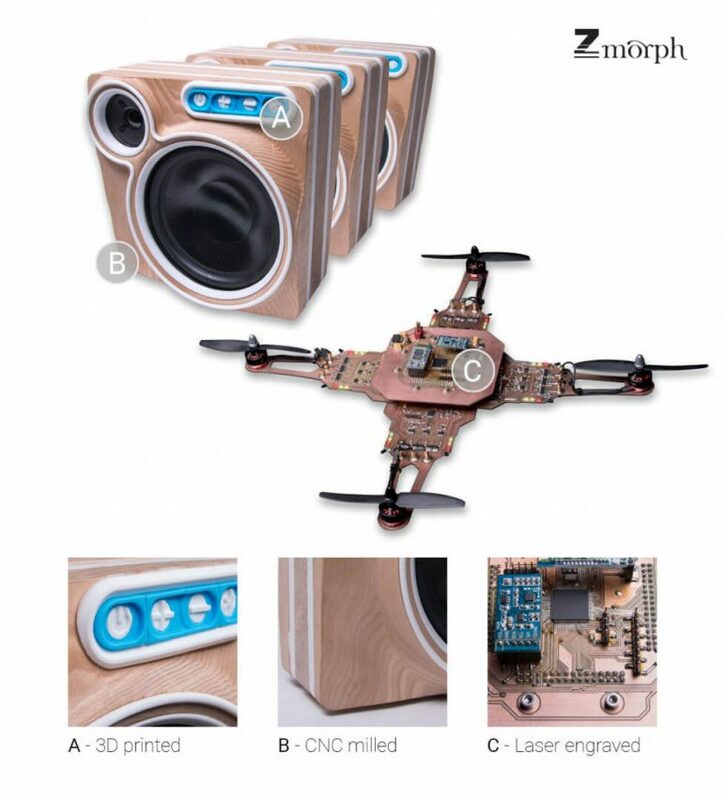 Nobody knows for sure, but Polish company ZMorph says to hell with the consequences. They’ve gone ahead and announced their new multitool machine, the ZMorph VX. ZMorph already has a solid reputation for their versatile 3D printers; we had a decent experience with the ZMorph SX not so long ago. Their point of distinction is being able to offer multiple fabrication methods within the one desktop machine. And thanks to their modular design of detachable heads, a ZMorph machine can work with dozens of available fabrication materials. More than enough to satisfy even the most demanding professional designers, engineers, and educators. 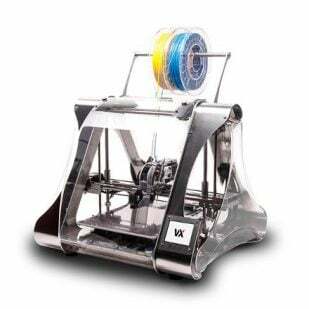 The next generation model, the ZMorph VX, boasts advanced solutions in print quality and machine reliability. The company promises that the machine is easier to set up and operate than ever before. In addition, there’s a flexible pricing system for those who want to pick and choose the feature-set for their custom requirements. In addition to 3D printing, you can upgrade to CNC milling, laser engraving, and even food printing. “We’ve been making digital fabrication machines since 2013. Long enough to learn that quality, reliability, and ease of use are the keys for every creative business,” says Przemek Jaworski, ZMorph CEO, and Founder. While the preceding SX model already featured a solid aluminum body with fully enclosed electronics, double belt drive, and original closed loop system, the VX model introduces several hardware upgrades of note. The company has also sought to address the user experience. A significant hardware change is the fully automatic calibration system, which should make the 3D printing process just that little bit less frustrating. There’s also a new CNC worktable for those who want to work with CNC and laser-engraving. This has a sturdy aluminum construction with pre-set holes to provide a stable, flat surface and easy clamping of materials like wood, acrylic glass, modeling boards, and PCB boards. On the software side, there’s the completely revamped Voxelizer software. It has “faster and smarter algorithms” plus a cleaner interface for both absolute beginners and experienced pros. This last announcement is perhaps the most encouraging; in previous iterations, the Voxelizer software suite was the weakest link in the ZMorph ecosystem. So how much is a ZMorph VX going to cost? And when can you buy one? They’re available worldwide now from ZMorph and authorized resellers. Our tip for prospective buyers? You’re definitely going to want the Dual Extruder with Mixer Hotend in there somewhere, it’s an impressive piece of kit. 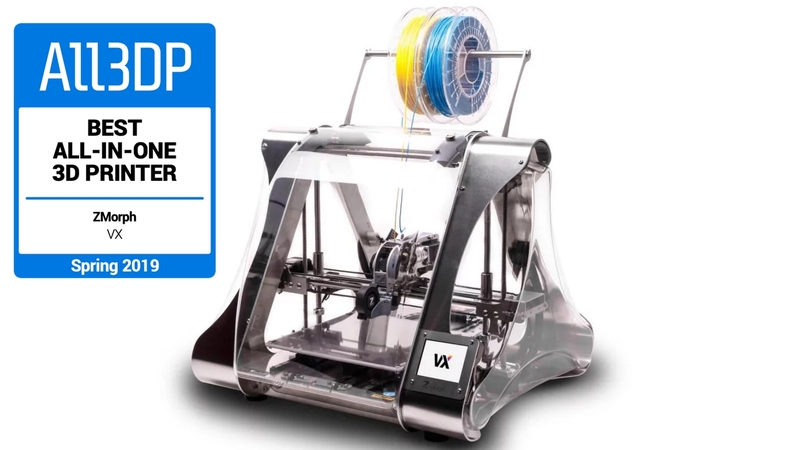 License: The text of "2019 ZMorph VX – Review the Specs of this Multitool 3D Printer" by All3DP is licensed under a Creative Commons Attribution 4.0 International License.